While many people enjoy the solitude of living alone, others, who unexpectedly find themselves in an empty home, can face a difficult transition period. Aside from simply missing the company of another human being, living alone means you don’t have another person to help with certain chores. Tasks that you used to do with another person, such as folding bed sheets, you now have to tackle on your own. This can be a particularly tough challenge for older individuals who may not have the strength to complete certain routine tasks. For example, routine tasks such as carrying out the trash or dusting high places can be an extreme challenge for some older adults. Surviving alone takes a lot of independence, but it also takes some ingenuity. Being able to solve problems on your own and overcome the challenges that come with living alone is crucial. To help with some of the obstacles of living alone, here is a list of 10 helpful survival tips. Many of these tricks require very little energy or effort, yet they can make your solo life worlds better and even keep you safe. A dishwasher is a big help when it comes time to clean up after a meal, but it can also be a huge help in other aspects of cleaning. Rather than climbing up on a ladder or chair to clean your fan blades, you can just remove them and wash them in the dishwasher. They’ll come out cleaner, and you won’t be risking a bad fall. Most hard plastics are entirely fine to wash in the dishwasher. Other handy things to clean in a dishwasher include lamp shades, broom and mop heads, dust pans, gardening tools, pet toys, plastic combs/brushes, sink sponges and many more items that would otherwise be hard to clean. By giving your dishwasher this double duty, you’ll have a much cleaner home, and you won’t spend a ton of time keeping it clean. Musophobia (the fear of mice and rodents) is one of the more common phobias out there. Not everyone can handle trapping and removing mice from his/her home. If you’re one of these people, there’s a very inexpensive fix that doesn’t force you to interact with the mice at all: peppermint oil. Mice hate this stuff and will steer clear of it. By mixing some peppermint oil with water in a spray bottle, you can give a quick spritz to any area with mice activity. You never have to remove the mice yourself; they’ll get one whiff of the peppermint and move on. Plus, it is a very humane way of dealing with a small mice problem (if you have a large infestation, you may want to seek out more extreme measures of removing the mice). Peppermint oil has a lot of uses. Even when the mice leave, you can still find ways to use it. Peppermint oil can be found at many pharmacies and large box stores. You can also buy it online. Nothing is worse than a jar that you just cannot open. Even after banging it on the side of a counter, turning it until your face turns red and soaking it in warm water, you still cannot get it to open. There are tons of products out there that are designed specifically for opening stubborn jars. One easy trick, which doesn’t require you buying some As Seen On TV product, is to use a rubber glove. You probably already have a pair under your sink, and the rubber of the glove will give your hand much better traction and grip on the lid. Another trick is to put one rubber band around the lid and another around the jar, wherever your hand is going to hold it. The concept is the same, the rubber of the bands helps provide much-needed traction, and you can pop the lid quickly. Moving heavy furniture and appliances is typically a two-person job, no matter what age you are. But, for older individuals, the challenge of moving something heavy on your own is much more difficult. Luckily, there is a solution. By spraying Windex at the feet of an appliance and in a track of where you’re moving it, the item will slide with ease. Thus, you won’t have to strain yourself pushing and pulling it. Plus, it should protect some floors from marks, as you move the furniture. “Can you zip me up?” A small request for a quick and easy task, if there’s another person around. When you are living alone, however, even getting dressed and wearing certain garments or jewelry can be a minor annoyance. There are a few small things you can do to make life a little easier when you are trying to dress up for a night out. A string and a safety pin attached to the zipper of a dress makes it a breeze to zip up while using scotch tape on your wrist to hold a bracelet in place while you secure it means you can accessorize with one hand! When others are around, you don’t feel vulnerable and alone. You have someone else around to put your mind at ease when you feel uncomfortable or insecure. That isn’t the case when you are living alone. Maintaining a sense of security can be hard, especially if you have an active mind that often creates added fear or anxiety. A medical alert system may seem like a significant, unnecessary investment, but the cost of having a mind that feels secure and at ease is priceless. Plus, many modern systems are extra affordable. You shouldn’t be afraid of living alone or have your mind racing at every small bump in the night. Transitioning into living alone means adjusting how much you spend on groceries and how much food to cook and prepare. You’re probably used to feeding others (or being fed by someone), but now you are just cooking for yourself. This might mean you need to take some rudimentary cooking lessons and it means getting used to eating leftovers and reheating food in a microwave more often. Reheating rice, pasta and other similar dishes can be a real pain in the microwave. There are some tips and tricks associated with microwaving food and an even greater number of gadgets, but the only one you need is a silicone microwave lid. This product traps in steam and heat to provide a more thorough cook. No more cold spots or mushy leftovers. Aside from adjusting how much you need to cook, you also have to learn how to manage your finances. The good news is that budgeting for one is a lot easier than learning how to budget and spend with a significant other or a roommate. Nonetheless, it may take some getting used to, as you no longer have someone to split costs with and have to buy everything on your own. Groceries are going to be one of the areas that take a lot of adapting. You have to transition to buying smaller quantities, instead of in bulk. This is also going to be your biggest area of savings, which you’ll probably need to cover your payments and utilities. In any scenario, budgeting takes some careful planning and smart innovating. You should track all of your spendings. Then, once you have a good amount of data, you can begin to see where you are spending money, how much you need each month and where spending can be cut. This tip serves two purposes. First, regular communication is important because for your mental health. Just because you live alone doesn’t mean you have to live without social interactions. People often underestimate how impactful a little chatting can be; a daily phone call can help in lifting your spirits up to get through the rest of the day or give you an ear to complain to and get some things off your mind to de-stress. For retired individuals, this daily call can also be a lifesaver, if you’ve fallen and didn’t have a way to notify anyone. Your loved one will be expecting the call, and when it doesn’t come, they will know you are in trouble and send help. One of the best resources you can have when living alone are the people living around you. Not everyone likes meeting neighbors, and there are certainly neighbors you should avoid, but don’t let a little social awkwardness deter you from establishing connections in your neighborhood. Not only are these valuable sources of social interactions, but you never know whom you might be living next to. You may come to find out that your next door neighbor is a handyman or a plumber, which is valuable knowledge if you have repairs or plumbing issues. Also, you may be able to call upon them to help with some tasks that are simply too difficult to do alone. The last thing you need to remember to survive living alone is to have fun. Sure, it can be a scary, hectic transition that makes you have to alter your lifestyle and how you spend your money and live your life. However, it’s also an excellent opportunity to learn things about yourself that you didn’t already know, explore new things and do things in your way. You no longer have to worry about the needs of another, so make bold decorating choices. Start a new hobby that takes up way too much space. Be messy for a week. Budget for the vacations and things that you want. Entertain guests and dazzle them with your newfound cooking skills. There’s so much potential growth to be experienced from living alone, so shed the fear and anxiety and enjoy it! 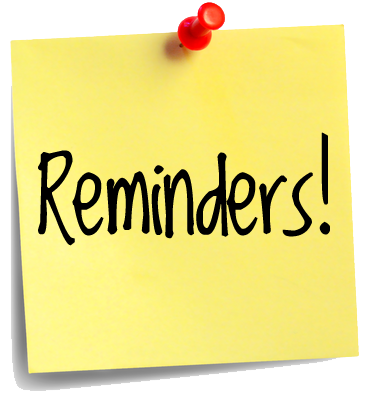 Just a reminder that we are meeting next Tuesday morning at 8:30 a.m. and the first order of business that day will be to elect 2017-2019 NOCSC Board Members. I erroneously sent out a “Board Members Roles and Responsibilities” list earlier this week and I need to apologize and re-tract that document since it was a draft-only and never voted on, and actually goes against our current set of bylaws in several places. Please disregard that document. Again, we are still looking for at least one more candidate for the NOCSC Board, so if you are interested in applying or if you have a candidate that you would like to nominate, please feel free to do so. Have a great weekend and I look forward to seeing you on Tuesday morning from 8:30 – 10:00 a.m., here at 130 W. Bastanchury Road, Fullerton ~ please feel free to park in the parking structure and I’ll happily validate your parking ticket! Many seniors feel they have to pretend all is well during the holidays for the sake of others. But it’s important to set aside time to grieve, ask for help if you need it, and forego traditions that are just too hard since your loved one passed. Should I act like everything is okay so the rest of the family can enjoy the holidays? Is it all right for me to skip traditions if they seem too hard to handle? Should I make major changes to my typical holiday rituals? There are no easy, clear-cut answers to any of these questions – it depends on the factors surrounding each situation. What is a coping mechanism for one person will be ineffective for another. From music to decorations, to shoppers crowding stores to holiday advertisements, the holidays are all around us. Some people find that simply accepting the fact that the holiday season will be hard and painful provides more strength to cope. If someone close died recently, it’s okay to lower expectations of the holiday season. One cannot expect to feel the way he or she once did, and should not feel guilty because of it. Thinking ahead and anticipating activities allow people the opportunity to structure time in such a way that mitigates the temptation to overdo things, or get caught up in others’ expectations and regret it later. If it’s too painful to participate in certain holiday activities, make that known ahead of time. Consider doing something altogether different when it comes to dinners, church services or other activities. Planning a daily calendar a week in advance might help a person feel less lost without a loved one, and will help prevent getting ‘stuck’ in grief. Lighten the load if plans become too much. Getting enough support during the holidays means reaching out to others who may be experiencing or have experienced the same thing, as well as asking for assistance with holiday preparations. Research support groups in your area. Most people find grief lessens when they realize others feel the exact same way. For others counseling sessions work well. Even online support groups are places you can find ideas on how to cope. Though it is important to set aside time to grieve, don’t become isolated, especially during the holidays. Knowing what to do about family traditions is one of the hardest things people face after the death of a loved one. Don’t be afraid to tell family members that certain traditions will be too hard. Plan to do only what is special and meaningful to you. Most people experiencing grief during the holidays do find creating some new tradition to honor a loved one helps. Ask visitors and other family members to write a journal about the memories of a loved one. Establish a special place in your home that conjures happy memories, such as hanging a stocking for a departed loved one, and asking others to fill it with notes of fond memories and good wishes. Try not to compare a holiday experience with others. It’s easy to stand back and think everyone is feeling happy. The holidays are stressful for everyone and are never as magical as we sometimes perceive. The goal is to do whatever feels best. Experts also say it’s normal for it to take several years to identify those traditions to keep and those that are no longer a part of your life, so focus on just this holiday season for now. Donate to a cause he or she was passionate about. Find a local organization that needs help and donate time, food or toys. Plant a tree in memory of your loved one. What if I feel numb or even apathetic during the holiday? Experts on grief typically stress that everyone grieves in his/her own way, and it’s okay to accept and respect whatever feelings an individual may have. Many people feel numb and even disoriented when they are grieving, but it’s all right and not unusual. Rely on a support system of close and important people. Plan healthy meals, time for exercise and drink plenty of water. Do not stifle emotions. Set aside time to experience sadness and anger. Journaling thoughts and feelings can help ease grief. Be truthful about your feelings when asked. Be informed before events. Ask who will be attending and what activities are planned. November 21st – All Member Meeting / Board Elections 8:30 – 10:00 a.m.
November 21st – Senior Resource 101 Class 7:00 – 8:00 p.m.